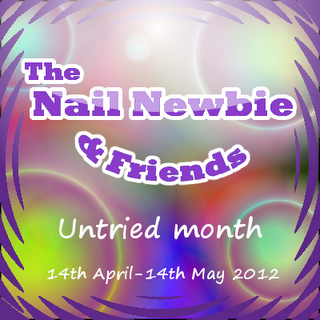 Ok so one of the lovely ladies in my birthday group, Helen at Nail Newbie, came up with the idea of an untired month - the idea being to help us all get through the huge mountain of untrieds we all have! The first untried I have is A-England Princess Tears which I received from my lovely birthday group friend Tracy. I was super excited to receive this as I have a few other A-Englands and their formula is just amazing. 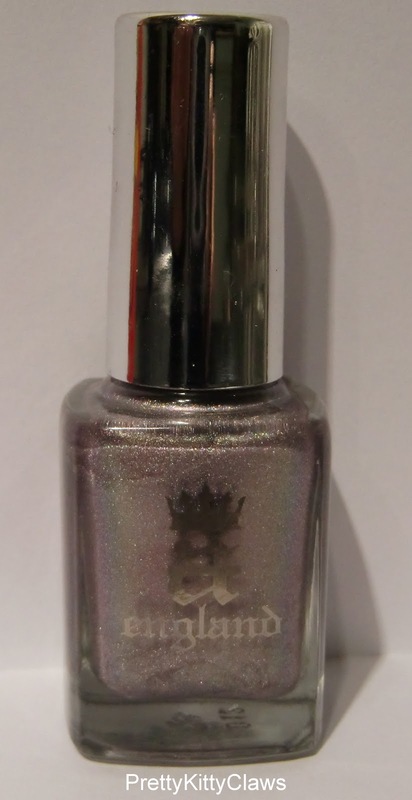 Princess Tears is from the A-England Legend collection. This is the second collection that the lovely Adina has released and it is awesome. This polish is a liliac scattered holo and I think it has a bit of a dupchrome going on. In some lights the pink is more noticable, in others it's more grey. It's a beautiful polish and I liked it enough to wear it for 3 days! For this mani I used my normal base of OPI Nail Envy Maintenence and because I had just buffed my nails in an attempt to de-stain them I also used a thicker protective base coat which was Leighton Denny Under Cover. 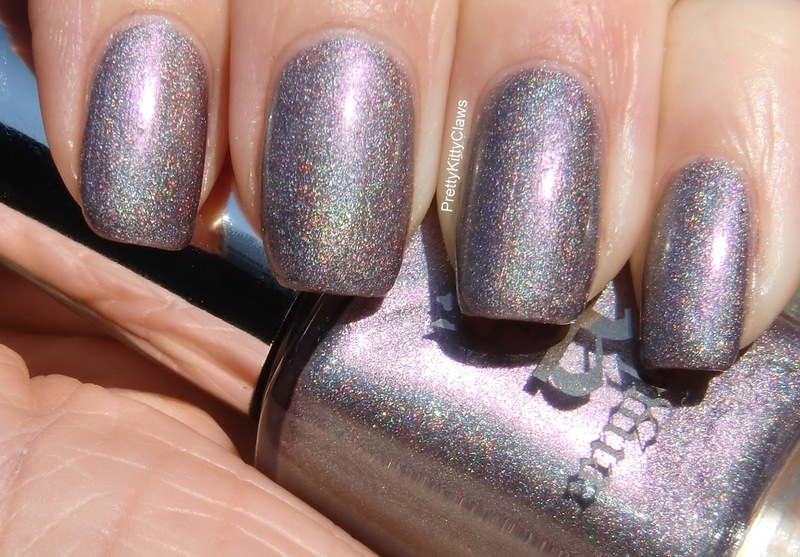 This was 2 easy coats of Princess Tears, it has the same beautiful formula as the other A-Englands and a topcoat of Poshe, which didn't appear to affect the holo at all. A-Englands can be purchased from the A-England website http://a-england.co.uk/ where i believe they offer free worldwide shipping! It is a great color, I'm glad you love it! It looks great on you!